Congratulations to Ms Pitchford on winning the CHS Staff Bake Off with her stunning showstopper! 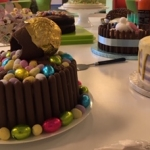 A total of nine cakes were put forward, all were fabulous. £100 raised for The Hospice of the Good Shepherd. Happy Easter! 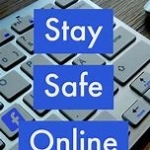 To help keep children safe on the Internet Capita have teamed up with safeguarding experts, MyConcern, to create a useful infographic featuring their top ten tips for staying safe online.